GUY Engineering recently expanded their operations to Oklahoma City to better serve our clients in Oklahoma. The vision of GUY Engineering is to provide safe and lasting infrastructure solutions to our communities. After being in business more than 26 years, opening the OKC office is a step to facilitate and expand that vision, broadening the high level of service to clients throughout Oklahoma. 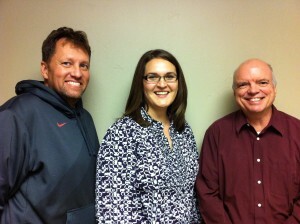 The newest addition to the OKC office is Civil Engineer, Rebecca Alvarez, P.E. She is relocating from the Tulsa office to take the position of branch manager. Alvarez’s experience includes designing roadways, drainage improvements, traffic control improvement and reconstruction projects across the state of Oklahoma. Her wide range of experience is an asset to GUY Engineering and clients. GUY Engineering OKC is located at 7301 N. Broadway Extension, Suite 110, (405) 608-4217.